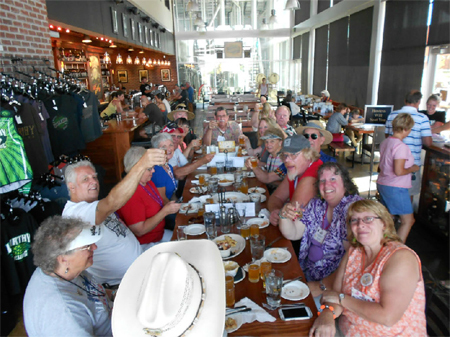 As participants of 'Cruise Oregon 2015' head out of town from Sandy, Oregon on July 11th, 2015, they will be celebrating the events' 15th year, with a route that will take them through the state of Idaho and you're invited to join them! 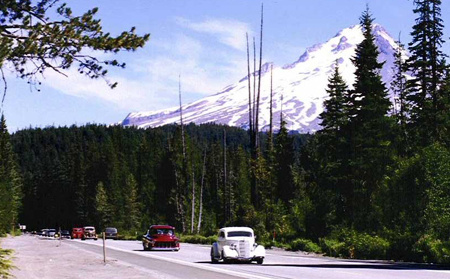 If you're looking for an adventure with other car enthusiasts, while cruising down scenic back roads, keep reading to find out what makes "Cruise Oregon" an event to add to your Bucket List. 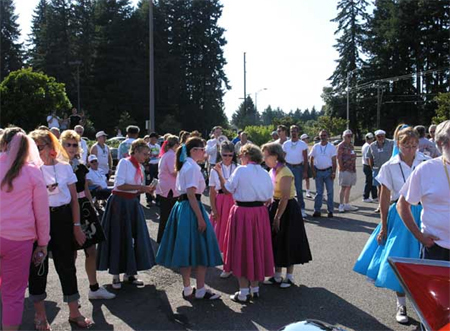 Cruise Oregon is hosted by the Route 26 Cruisers, based in Sandy, Oregon, but cruise participants come from all areas of the Northwest and beyond, including Wisconsin, Iowa, Nevada and California. Keep in mind, you don't have to be a club member to participate....all are welcome! There's also one couple who joins them every other year from England, when visiting the states on vacation. While most participants are on the cruise from start to finish, there are usually a few who meet up along the way or depart early, depending on their time availability. In previous years, Cruise Oregon has taken in the sites of Oregon, Washington, California, Montana, Idaho and Canada. Their 1-3 day stops in towns on the route may include a BBQ with a local car club, poker runs, casino outings, tourist attractions and/or a tour of a nearby car collector. All of the events are optional. A pre-pay form is sent out the first of May to those who have registered for the cruise, where you can make your selections and pre-pay for the events and dinners you'd like to attend. Hotel rooms are blocked, at a special rate, and the hotel information is sent out, once a cruise registration form is received. Other events that take place on the trip are often held at the hotel. 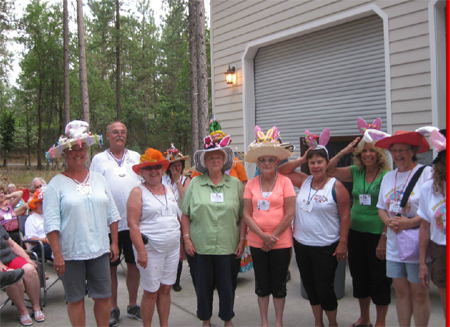 Last year, there was a 'Crazy Hat Night', a '70's Night ' in 2011 and in 2008, they had a 'Dress Your Squirrel Night'....just to name a few! 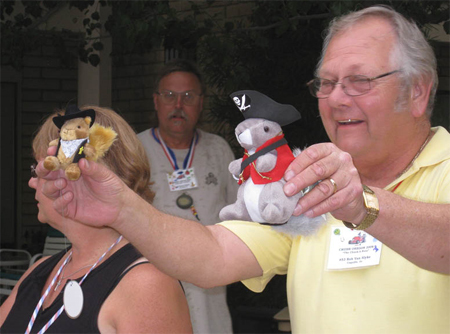 During the events, and at other times during the cruise, you may find yourself being fined for not wearing your name tag, a parking violation or any number of silly infractions, by members of the Kangaroo Court. The fines are usually $1-$5 per fine, with the money collected going into the charity pot. There's also a week long poker draw where the winner receives half the money and the other half goes into charity pot as well. Cruise Oregon has consistently raised $3,000-$6,000 each year. 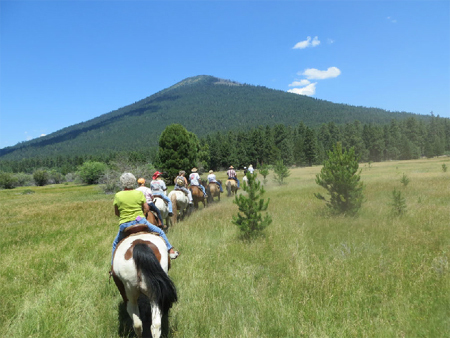 Activities during the 2014 Cruise Oregon included a brew bus tour, horseback riding in Sisters, a few personal car collections to view, casino stops and a dinner jet boat ride on the Rogue River. 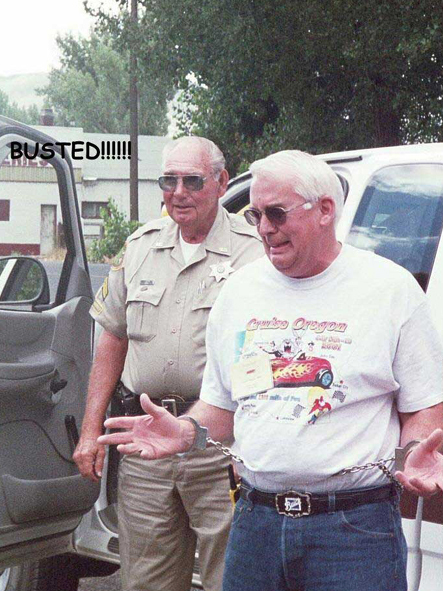 Driving your classic is not a requirement, however it is encouraged! You'll want to be part of the stream of classic cars rolling in from town to town. 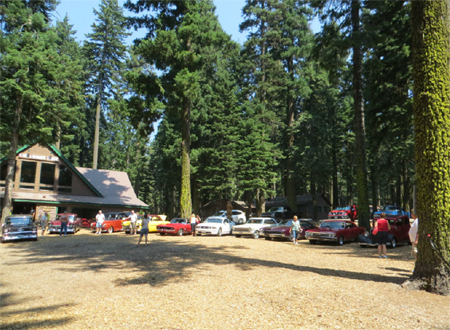 Cruise Oregon attendees are a fun group of car enthusiasts, who enjoy a good (and sometimes 'wacky') time. Lots of planning and preparation goes into making Cruise Oregon a trip that's fun for everyone. Unexpected weather conditions and unforeseen mishaps can occur, no matter how prepared one can be, so be flexible and it will ALWAYS be fun! Cruise Oregon 2015 will be extended to a 9 night, 10 day trip, from July 11-19th. They have picked a mascot and a catch phrase for 2015. 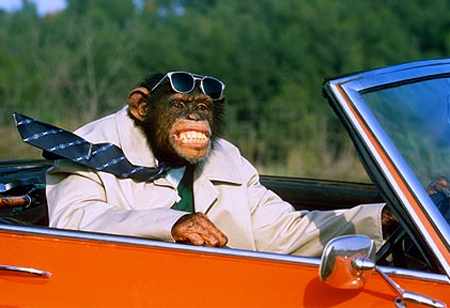 The mascot will be a Monkey, and they will be calling it "Monkeyin' Around." 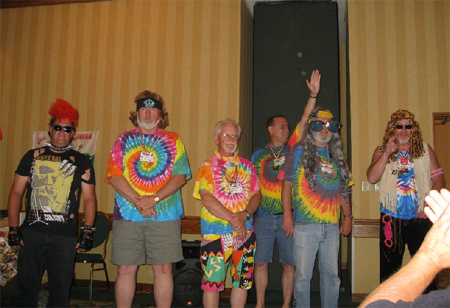 If you would like to attend Cruise Oregon 2015, be sure to get your registration in early! On average, there are 100+ cars participating every year and only so many rooms that are blocked at the "special rates" at the hotels in each town they stay in. Registration closes at the end of April, 2015. You'll find more information and the 2015 registration form on the Cruise Oregon website. If you have any questions, email cruisedirector@cruiseoregon.com or call the cruise director, Karen Strand at (503)789-8973.
new acquaintances...and friendly people in awesome cars? Come with an expectation of FUN and ADVENTURE!